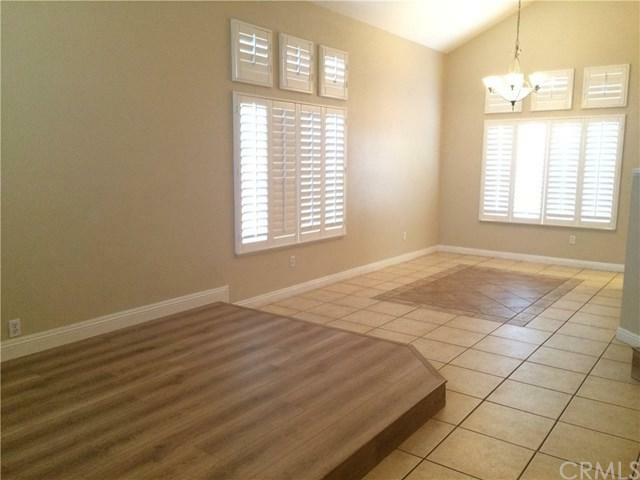 Move in ready two story home in Southridge community in Fontana, over 2000 square feet, 5 bedrooms with 3 bathrooms (downstairs bedroom was converted to an office/entertainment room but can still be used as a bedroom with a full bath downstairs). 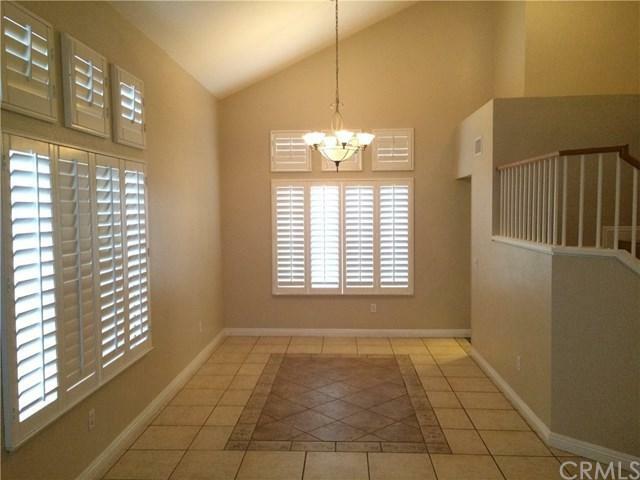 Open and cozy floor plan, high ceilings in the living and dining room, one full bathroom downstairs. Fireplace in family room, customized & upscale mosaic tile wall in family room, sliding door leads directly to the backyard. Kitchen has been updated with newer cabinets & granite counter tops, detailed crown moldings all throughout, tile flooring in the kitchen, newer plantation shutters, and brand new kitchen vent. Upstairs bathrooms have been updated with waterproof tile floor and new faucets (new toilet downstairs). All newer closet doors have been installed in bedrooms. Newer wood floor throughout and painted only a year ago. Newer sprinkler system, newer fences and central A/C and heating system only a few months old. Two car attached garage with extra storage space. 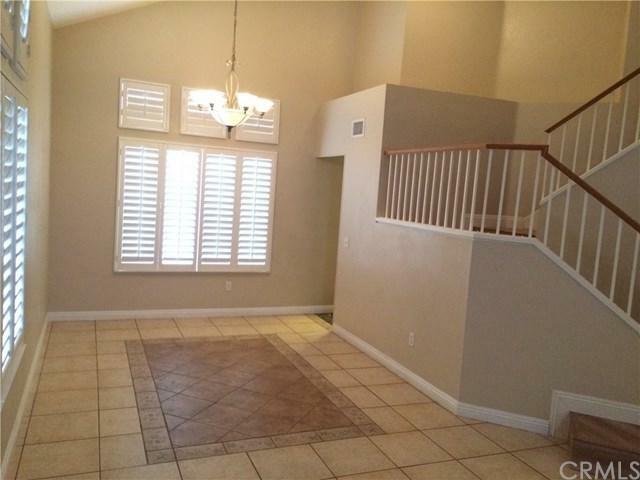 Multiple parks in the community, very close to school, shopping & freeway. 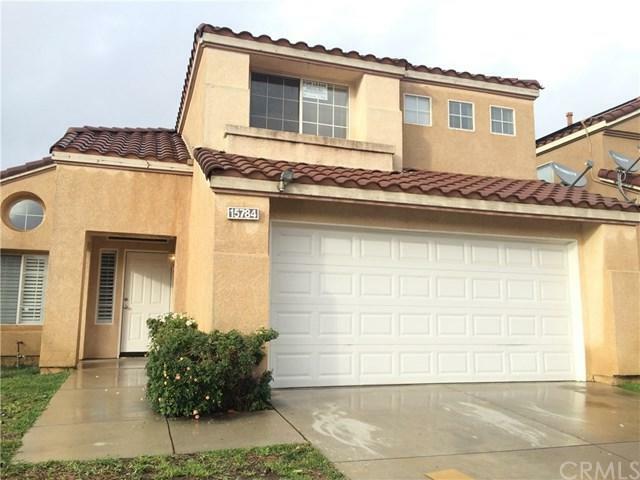 Sold by Veronica Mendoza of Realty Masters & Associates. Listing provided courtesy of Yanli Qu of Realty One Group, Inc.